A necromonger head casting from Riddick (Vin Diesel), hidden for five years after the events of the movie Pitch Black, is forced to come out of hiding to fight the villainous Necromongers, and fulfill a dark prophecy in the process. 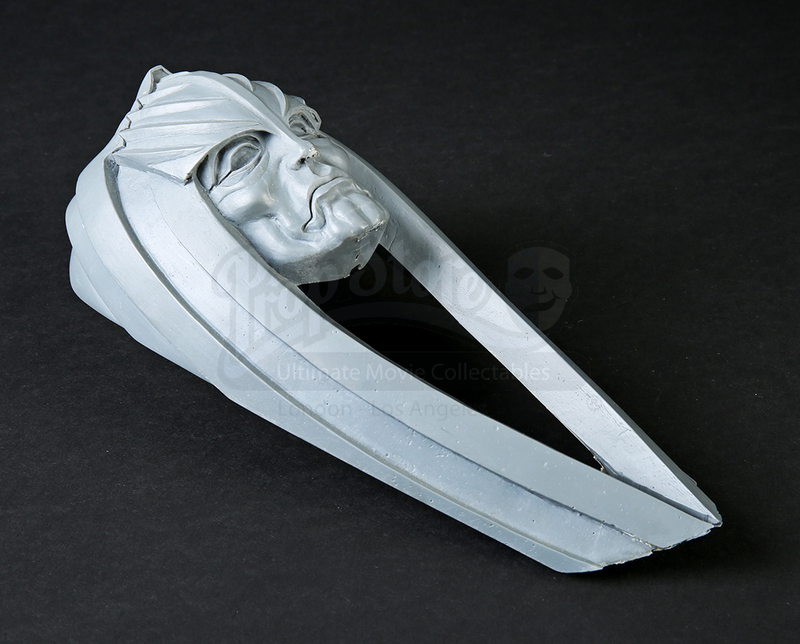 The casting was made as a concept piece for the Necromonger obelisk seen in the opening of the film. 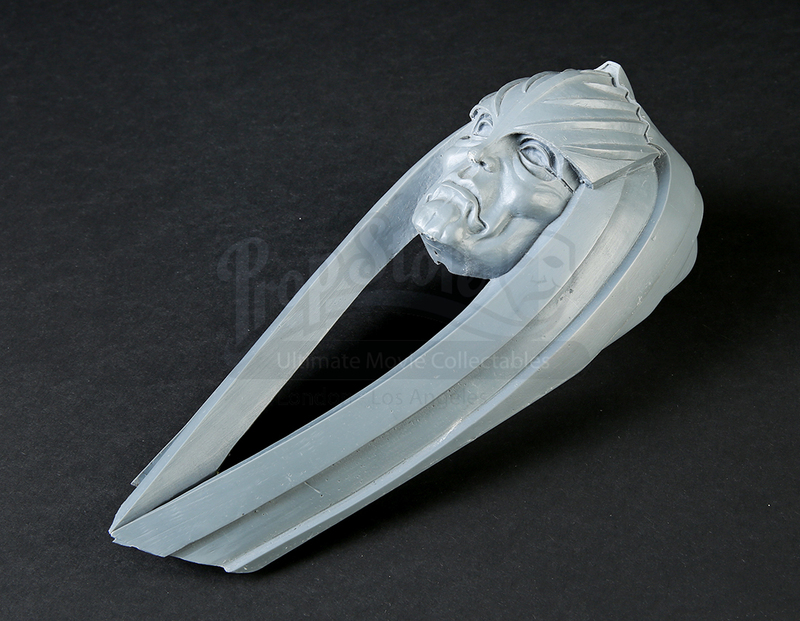 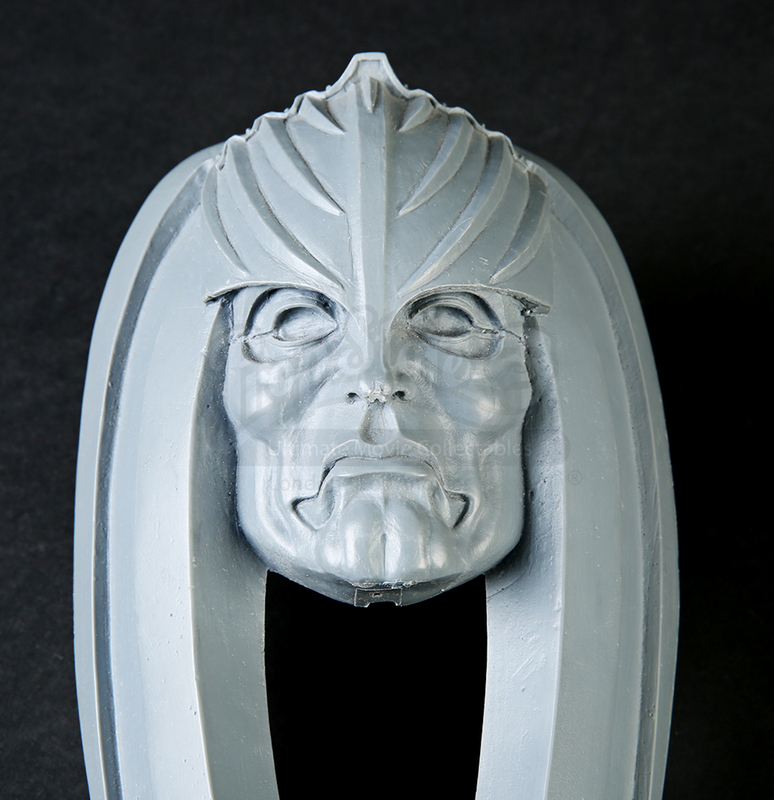 Made from resin, the piece features a detailed face, crown and headpiece detailed with creases in wrinkles. 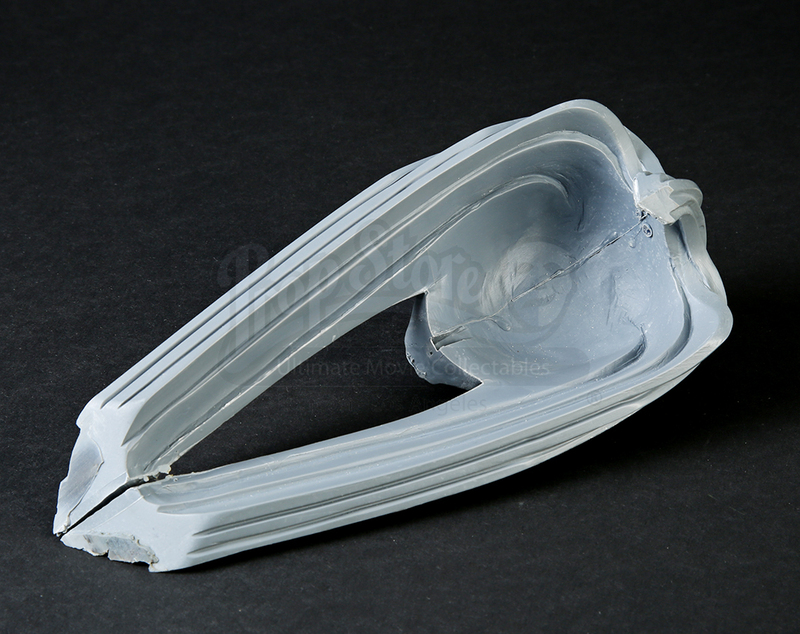 Showing minor wear, the piece remains in very good condition.